Every home should have some sort of first aid kit in the event of emergencies. Exactly which items should be included in yours is dependent upon several factors. While your budget should not determine what to put in yours, it often does. You don’t have to break the bank to build your DIY apartment first aid kit. The first thing you should do is make a list of items to include in your first aid kit. For example, if a member of your family suffers from severe allergies, you’ll need to add an epi pen. Not only is this life-saving device on the more expensive side, but it is also one of those things you should never skimp on. 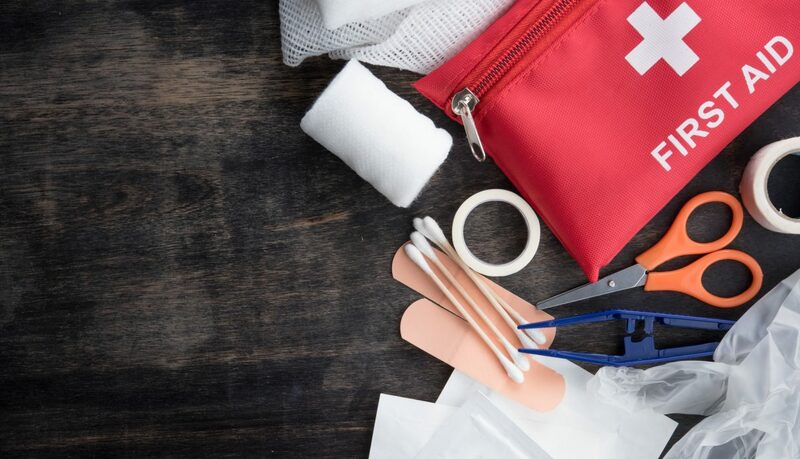 Create a list of what your first aid kit should include and collect items as you can afford them. Note: An epi-pen only buys you a bit more time to get an ER. It doesn’t reverse anaphylaxis. The above list is not complete by any means. It does provide a jumping off point. Families with young children should include pain medication and fever reducers suitable for their age groups. You’ll need to include a laminated list of emergency phone numbers such as poison control and work numbers for family members. You may have many numbers memorized; however, in an extreme situation, you might draw a blank. Every second counts in an emergency. Many experts suggest placing a cell phone in your first aid kit. Most families today do not have land lines in their apartments. Everyone has gone mobile. You could use an old phone from the last time you upgraded. While one with service would be ideal, it’s possible to place 911 calls on a cell that doesn’t have air time. Remember to keep it charged. You don’t want a dead phone if an emergency strikes. As you create the list of items to include in your DIY apartment first aid kit, look for areas to save on costs. You could cut an old sheet bed into strips and sterilize it by boiling it. You can use a vacuum sealer to maintain sterilization in storage. There are many items that are overlooked. Creating your first aid list will help you ensure you have everything you need. There are all sorts of websites dedicated to life hacks which may assist you in building your DIY apartment first aid kit. Two of the best niches to look to for advice are homesteaders and preppers. Look for tips and helpful hints to help your brainstorming session while creating your list.